Read current 450 uA, max. 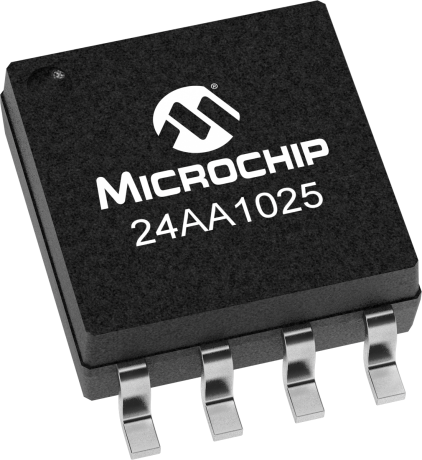 The Microchip Technology Inc. 24AA1025 is a 1024Kb (128K x 8) Serial Electrically Erasable PROM (EEPROM), capable of operation across a broad voltage range (1.7V to 5.5V). It has been developed for advanced, low-power applications such as personal communications or data acquisition. This device has both byte write and page write capability of up to 128 bytes of data.